Loud Pack Delivery – one of the fastest and most reliable mmj delivery services in Los Angeles. The company works towards establishing an unparalleled customer service. Here every patient can find an impressive selection in both quality and quantity. Over 100 various grades of Indica, Sativa and Hybrid. And on top of prime-quality flowers, Loud Pack Delivery serves a diverse range of extracts, edibles and other cannabis-infused products. The assortment even includes some seeds that the company supplies to both private and corporate growers. But the incredible selection of goods is not the only thing that Loud Pack is known for. The organization also exceeds in terms of delivery services. Every ordered can be dispatched right to your door in little to no time. 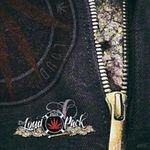 The convenience, safety, privacy and well-being of the patience are at the core of Loud Pack Delivery operation.